One of the most important people in your company is the person who interviews job applicants. 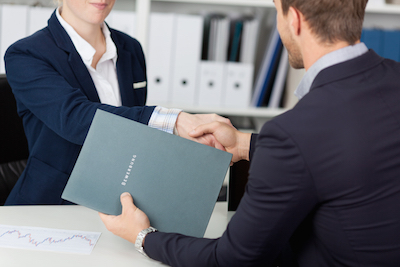 Faced with a stack of resumes and a line of candidates, savvy interviewers must choose the best applicant for the job – the one who will add value to the company and be such a good fit that he’ll never want to leave. The interview process is a costly one for employers, and you don’t want to make mistakes that will cost your company money. Sure, you’ve got an application and a resume, but these only tell part of the story. The answers to interview questions will tell you about the person behind the words on paper. According to Susan Heathfield, a human resource expert, “Seasoned interviewers develop a short list of questions that quickly tell them what they need to know about a candidate’s job skills, job fit, and potential cultural fit.” Here are five crucial questions all interviewers need to ask themselves as they formulate the specific questions they will ask each candidate. 1. Does the candidate have the relevant experience for this position? What can you tell me about yourself and your prior jobs? What are the first three things you would do on the job in this position? The answers to these questions will uncover the candidate’s grasp of how his skills and prior experience will help him in this new position. The more comfortable he feels in this position, the more likely he will be to make meaningful contributions to your company and stay with you for the long-term. 2. Does the candidate have the relevant professional training and/or academic credentials for this position? Again, the paperwork should list the educational background of the candidate. But there’s a world of difference between academic smarts and getting down and dirty in a real job. These interview questions and answers will help you hone in on how comfortable the candidate is with applying what he has learned. What are the three most important skills you bring to this position? How will your professional training and/or academic credentials enhance your contributions to our company? A pleasing personality and a resume with what seemed like the right background convinced a friend of mine to hire a young woman as a secretary/office manager. Before long, he had to let her go because she couldn’t type, she didn’t like to make phone calls, and her organizational skills were non-existent. If he had questioned her a bit more carefully during the interview, he would not have hired her in the first place. 3. Has the candidate clearly demonstrated that he can be successful in this position by describing his achievements with what he needs to accomplish in this role? The disclosure on every stock or mutual fund prospectus warns: past performance is not an indicator of future outcomes. This can also apply to candidates who may have some experience in the same field. But asking the following questions can help shed light on whether or not they will be able succeed in the new position. How do you believe your current skills will contribute to our company’s goals as stated in our mission statement? Based on what you’ve learned about our company and this position, what contributions do you think you would make? What achievements have you made that could help you reach your goals for this position? Every job applicant should have studied the website of their prospective company so they will have a good understanding of the company’s goals. If the candidate cannot answer these questions, he likely hasn’t cared enough to find out the company’s mission statement or he doesn’t have the skills needed to find out. Either way, he’s probably not a good choice. 4. How well does the candidate align as a good “culture fit” in this position? In the company? 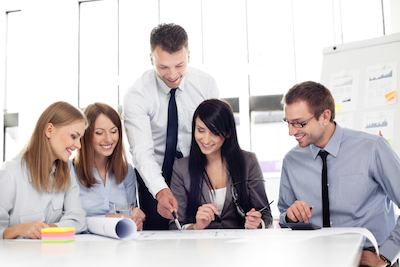 Candidates can become familiar with the company culture by studying their online presence. If your company is conservative, where clients come to meetings in suits and ties, a candidate who wants to spend his days dressed in jeans and tees is probably not a good fit. Being a good “culture fit” is much more than the clothes you wear at the office. Each person has their own individual personality and style of handling situations. This is not going to change just because they have a new job. If you’ve got a company that stresses employee empowerment and reasonable risk taking, you definitely don’t want to hire a micro-managing supervisor. 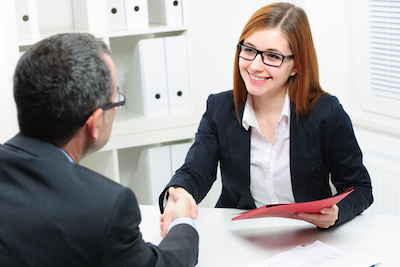 These interview questions will help uncover the candidate’s true answers. Generally speaking, in which type of work environment are you most effectively able to contribute? I have this friend whose wife was interviewing for a director’s position in a small private Montessori school. When asked why she felt using the Montessori method helped young children develop their creativity, she said, “What’s the Montessori method?” Needless to say, she did not get the job. 5. Is the candidate potentially promotable? What are her long-term prospects? Short-term hiring is an expensive proposition. You need to interview and then train the new employee. It’s a financial nightmare when you have high employee turnover. You want a person who has goals and is motivated to succeed. If there are opportunities for advancement, your candidate will have all the more reason to stick around. Knowing the following interview questions and answers will help you make a well-informed hiring decision. Where do you picture yourself in five years? How do you go about continuing to develop your professional skills and knowledge? By thinking about and answering these five crucial interview questions, you will be well informed with the candidate’s accurate information and long-term goals to help you make the right decision. In the end, asking the right questions will help you and your fellow interviewers not only get the right answers, but the right person for the job! And that is a win-win for your company and your new employee! 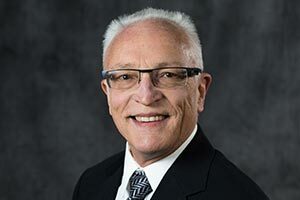 Lynn began his career with Kimmel & Associates in our Waste Division in 1999 and started the Supply Chain & Logistics Division later that same year.